The Ranking Table add-on allow you to display sort-able items in a table via a simple shortcode, which gives your website visitors an easy way to find the best recommendations for their needs. Items can be sorted by rank, rating and price. Note: You can have only one table per page, so use shortcode once per page. 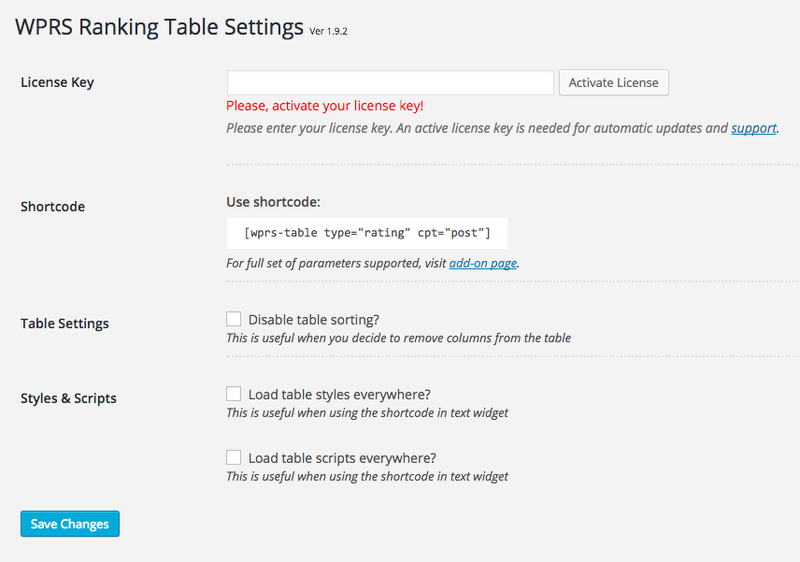 The Ranking Table settings page give you control over some site-wide settings for tables generated via the add-on shortcode. View the ranking table in action.